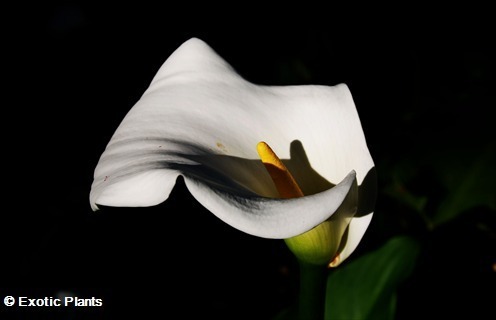 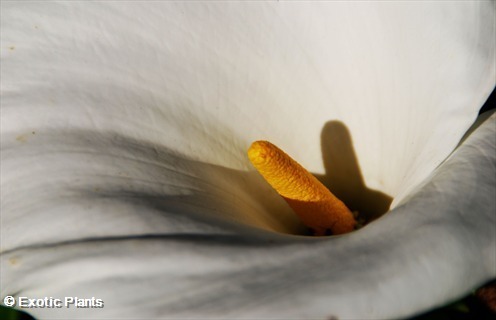 ﻿Zantedeschia aethiopica , also known as arum lily is a striking plant native to South Africa. 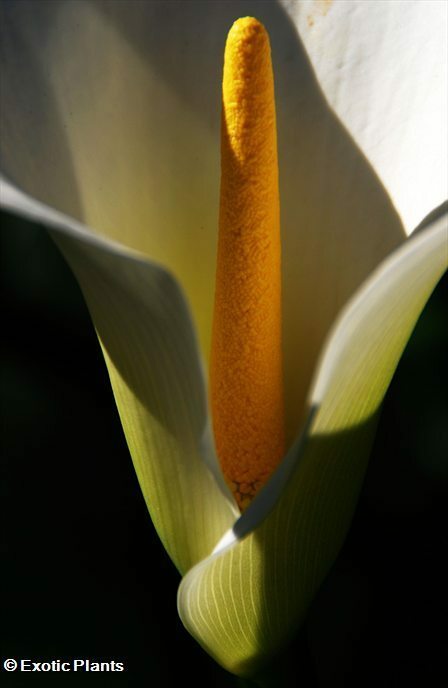 There are many tiny flowers arranged in a complex spiral pattern on the central column. 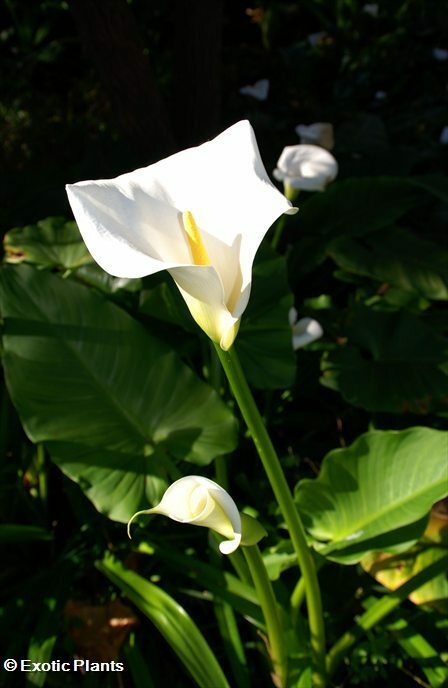 Zantedeschia aethiopica is also a very good and longlasting cutflower.